You go to some site that you rarely visit, say once a year. You can't seem to log in. You've seemly forgotten your password, although it's more likely you can't remember which username they forced you to use. So you click on 'Forgotten your password'. Look it says, "If you can't remember your details, use the 'Remind Me' form and we will send you an email reminder." A REMINDER. Good. But no, instead you get a password reset. A new password. "Forgotten your username or password? Don't worry! Enter your details and we'll send you a temporary password." I don't want a(nother) new password. I want to be REMINDED what the old one was. Last week Airside announced they were closing in March. Sad news for the industry. Airside were (are) a brilliant, innovative company and their influence spreads deep in the design world. "The way I relate the difference between typeface and font to my students is by comparing them to songs and MP3s, respectively (or songs and CDs, if you prefer a physical metaphor). When you talk about how much you like a tune, you don’t say: “That’s a great MP3”. You say: “That’s a great song”. The MP3 is the delivery mechanism, not the creative work; just as in type a font is the delivery mechanism and a typeface is the creative work." Great way of describing it. 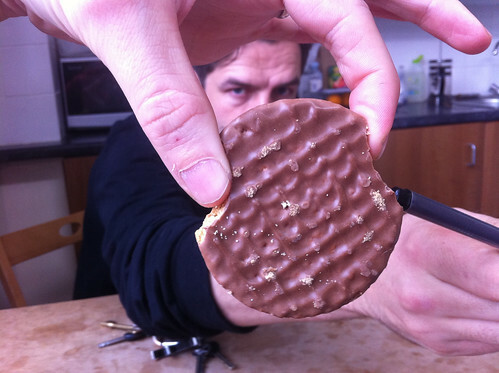 I've been using this biscuit prototype for years now. While doing the crossword with Matt Jones earlier today he encouraged me to socialise the idea on the web. 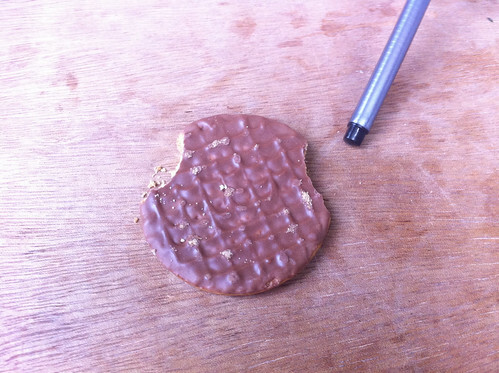 You take a biscuit with a chocolate coating. Using your mouth make two slight indentations on either side at slightly less than opposite angles. Matt is pointing out these indentations with his pen in both pictures above. 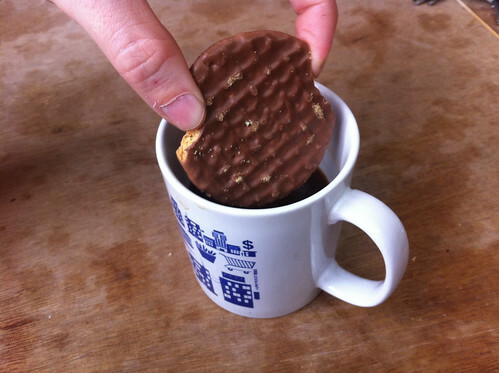 You then have the perfect grip for dunking your biscuit without getting melted chocolate on your fingers. As referenced by AAb in the comments. I thought it deserved a wider airing. Lovely to see this stuff again. 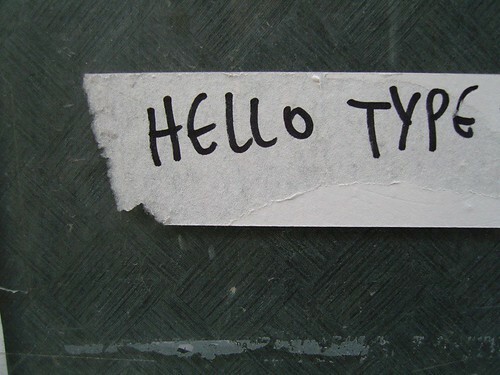 Taken from here. You see lots of these devices around at the moment. I couldn't find one to go along with this blog post, so I made my own. 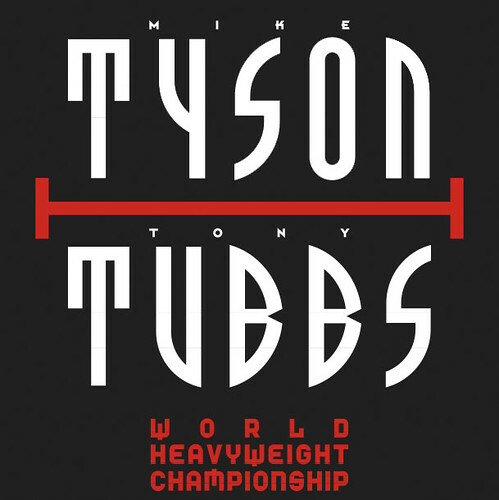 Black lines with generous kerning too. I'll see if I can spot some this week. 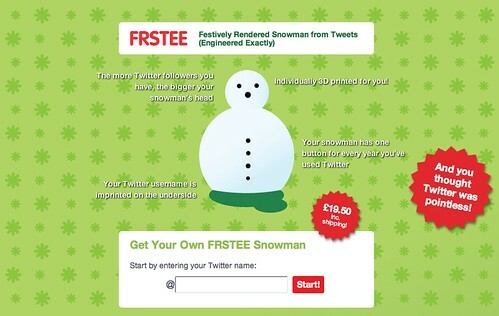 The first batch of FRSTEE Twitter snowmen have been hitting the doormats this weekend. 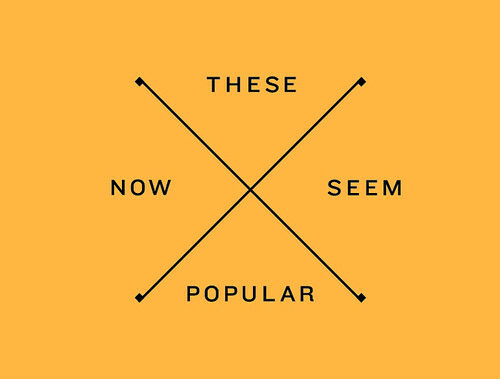 People seem happy with them. They look good on Instagram. Here is Rev Dan Catt's. And here is Mrs Willshire's. Aren't they nice? Don't they look super? There is still time to order one and get it delivered in time for Christmas! SO ORDER ONE. This is what people who own wagons should do. 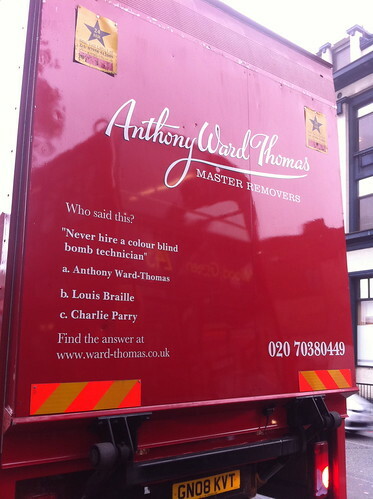 Instead of just phone numbers and urls and, worse, slogans and stuff - put something interesting on your lorries. Remember these from two years ago? 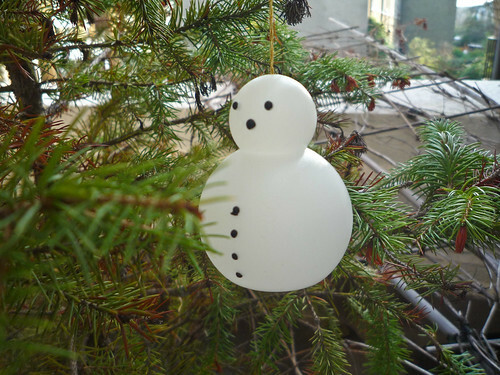 It was part of our DataDecs project where we made Christmas decorations from social media data, using the very latest 3D printing technologies. We had been wanting to play around with 3D printing for a while, and you know what we're like, we're more Tescos than Troika, so we made Christmas decorations. You enter a Twitter username and we extract the data we need. Then you fill in the order form and pay us using PayPal.Your data is turned into a 3D design file and printed on a machine called the Z-Corp. This makes individual 3D objects by applying glue to a bed of powder to make a durable solid object. Colour is applied to eyes, nose and buttons and the whole thing is cured to make it long-lasting.Then we pop it in a box and dispatch it to you, causing a uniquely Social Media frisson around your festive tree. You also get your Twitter handle printed underneath. They are totally unique! I guess the thing that's changed in two years is that we now have more experience of shipping and fullfillment. That might sound like a small thing but it really isn't. Having the idea, designing the thing - that's only the beginning. Real artists ship. The experiment that is RIG continues. Quietly messing about with new technologies. And occasionally shipping. Anyway. Buy one! They make the perfect gift for that 'hard to think of a gift for' person in your life.